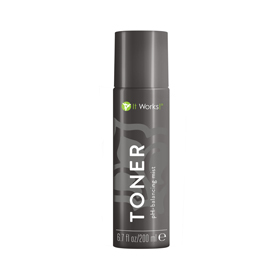 Balancing toner mist for light hydration and pore-minimizing for all skin types. A soothing, alcohol-free formula that hydrates, tones, softens, and refreshes skin. Aloe, Chamomile, Marigold, Green Tea, Panthenol and Allantoin soothe, protect and nourish the skin.